Although small among university presses in the United States, we are the major publisher of Irish poetry in North America. Noted scholar Helen Vendler of Harvard University commented: “Through the Wake Forest University Press, Ireland comes to America.” We publish 4 to 6 titles a year, all from poets hailing from Ireland. We frequently act as booking agent for our authors, and we arrange reading tours for them throughout North America. Should you be interested in a WFU Press poet visiting your institution or city, please contact us. 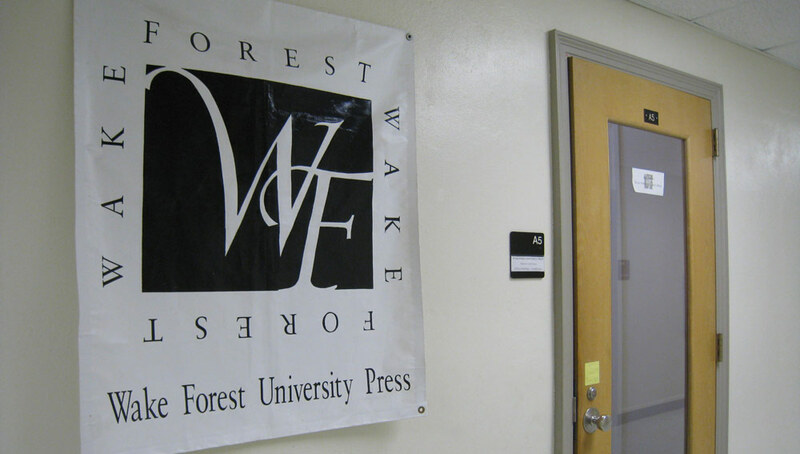 At Wake Forest University Press, we give customers the special attention that only a small, independent publisher can provide. We have no sales reps out “in the field,” we have no vast acres of anonymous titles. We do have a friendly staff who are very familiar with our books and authors, and who are eager to help you with your order, whether you’re a wholesaler, a retailer, or an individual.